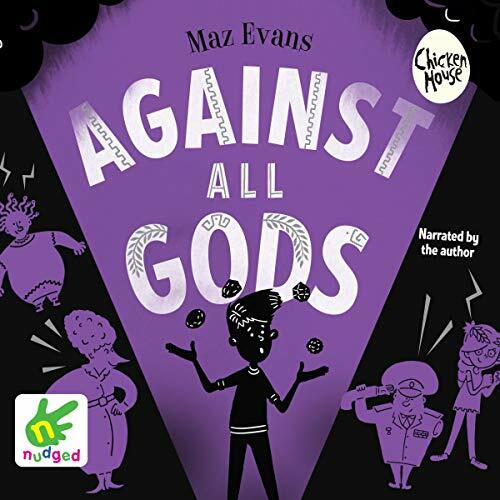 In the series finale of Maz Evans' best-selling Who Let the Gods Out? series, Elliot faces his darkest period yet. As well as facing up to his fears, he realises that the future of mankind - and the survival of everything he holds dear - is at stake. But can a bunch of misfit gods, a lost constellation and a mortal boy stand up to the daemon hordes? Great last instalment of this series. Pleasing ending for all of the characters and didn’t disappoint in any way. The most ‘optimal’ series for a long time. We have really enjoyed the adventures of Elliott, Virgo and the gods. We as a family have read and listenee to all of the books in this series. I have happily suggested these books to others, whom have equally enjoyed it. Maz Evens has given our family many hours of fun, laughter and tears. Its just an 'anti-bosh' that it has come to an end.